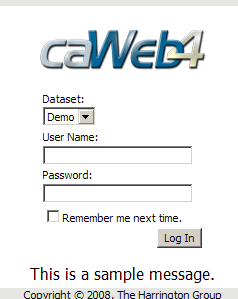 caWeb includes a feature to display administrator messages on the login page. 1. Login as a superuser to caWeb. 2. Click on Administration, then General. 3. Enter an Admin message and click Save.